It's 14:20 in Fayetteville, USA right now. 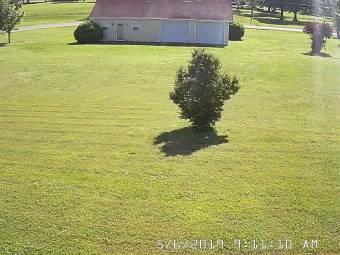 Belle Oaks Subdivision A webcam in Fayetteville, Tennessee with image archive, weather data and timelapse videos. Huntsville, Alabama: WAAY-TV, 28.5 miles away. Huntsville, Alabama: Downtown Huntsville, 28.5 miles away. Bell Buckle, Tennessee: Webb School, 32.7 miles away. Madison, Alabama: Intergraph Corporation, 32.9 miles away. Manchester, Tennessee: Cambridge Estates, 35.5 miles away. Mount Pleasant, Tennessee: Weathercam, 44.6 miles away. Guntersville, Alabama: Wyndham Garden Lake Guntersville, 57 miles away. Fairview, Tennessee: Camp Marymount, 65.2 miles away.